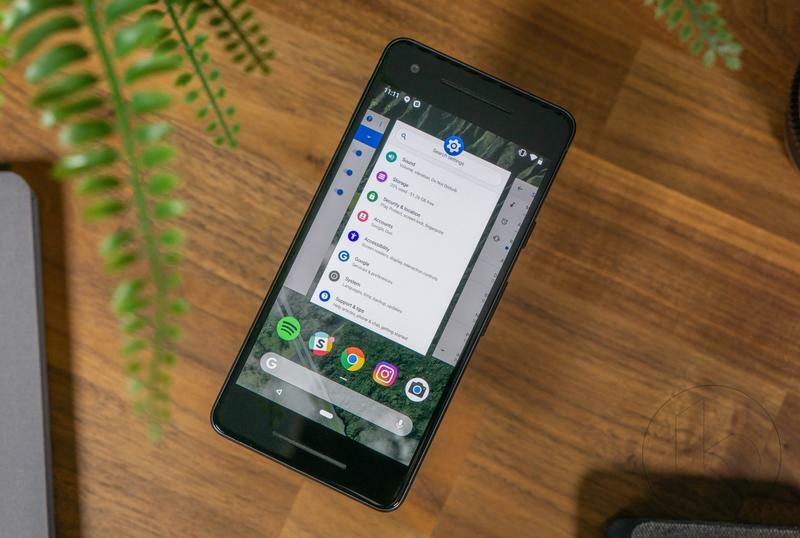 Google this week released the first beta for Android P, which is available for a variety of devices, including some third-party handsets. We downloaded it on a Pixel 2—here's a handy installation guide—and took it for a spin. What we found is that in some ways the experience is pretty similar to Apple's iPhone X. There are dozens of new features in Android P, including Slices, improved screenshot editing, and a focus on wellbeing. But perhaps the biggest change is how users navigate Android, which is typically done with back, home, and multitasking buttons. Now, Google has adopted navigation gestures that are strikingly similar to what Apple introduced last year. 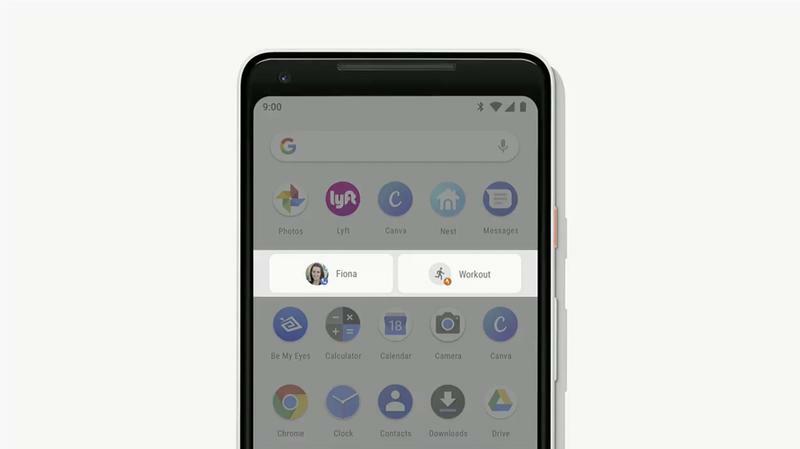 Instead of the three-icon navigation buttons, Android P includes an oblong bar that's used for swipe gestures. It also acts as a traditional home button when you want to jump to your home screen. Swiping through Android P can take some getting used to, but it's pretty easy to understand. Swiping halfway up the screen will launch the new multitasking screen, which now features a horizontal list of cards similar to iOS. What's cool is that these cards are interactive, so if you see text you want to copy, you can do so without completely jumping into the app. A longer swipe up will launch the app drawer, similarly to what Pixel owners have been doing for months. But I've noticed the two different gestures get in each other's way. Every time you launch the app drawer you see the multitasking screen. It looks like a glitch seeing both animations right on top of each other. I don't know what the solution is to this problem, and it's really not a huge deal; I just find it to be visually distracting. Still, I like the new approach. Swiping through the OS feels much more immersive compared to pressing software buttons. But the old Android isn't going away completely. The new swipe bar can be pressed like a traditional home button, and a back button will appear in certain circumstances. Unlike the iPhone X, you can't swipe back to the home screen when in an app, which feels a little incongruent with Google's newly adopted swipe approach. Elsewhere in Android P, Google has made smaller changes designed to make the software easier to use. Screenshot editing has been overhauled, with robust editing and sharing features. The quick settings menu also got a new coat of paint. I've also noticed the time is now in the top left corner along with notification icons, a change that's likely due to Google's embracement of the notch. Google also makes it really easy to change your home screen settings in Android P. With a long press on the home screen, you can easily turn off notification dots, customize the At A Glance feature, and turn off the Google app that lives to the left of your home screen. Everything is incredibly straightforward and easy to understand. I haven't found any of Google's new wellbeing features in the Android P beta, so I can't speak about how useful they are. But they could be one of the company's most important features in years. "Technology should help you with your life, not distract you from it," Google said of Android P's new wellbeing features. "So we've been working hard to add key capabilities right into Android to help you achieve your desired balance with technology." Android P will feature a dashboard that will provide users with an overview of how much time you've spent on your device, including how many notifications you've received and how many times you've unlocked it. You'll also see how much time you've spent in a particular app; users can then add limits to apps if they want to try and use them less. The newest additions to Android P make Google's software feel more sophisticated, a step toward a future full of notches and swipes. Swiping through Android feels easy and natural, though Google still has plenty of work to do. Using the swipe bar to quickly switch apps feels a little clunky compared to the iPhone X's method, though I much prefer Android P's new multitasking layout over iOS's. This is a beta, however, so Google will likely make tweaks before Android P is available this fall. If you want to take the Android P beta for a spin, you can find instructions on how to install it here.